Do Zinc Oxide Nanoparticles Penetrate the Skin or Cause Skin Toxicity? 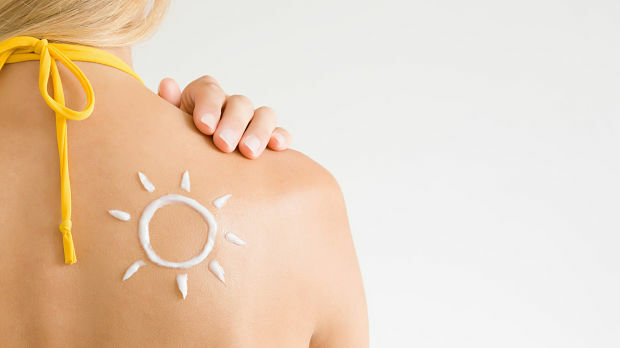 Zinc oxide is a very effective sunscreen and is used in both chemical and physical barrier sunscreens. The nanoparticle formulation (ZnO-NPs) helps minimize the appearance of zinc on the skin, so it is popular in cosmetic use. There are consumer concerns that nanoparticles may not be safe. A 2017 National Sun Protection Survey by Cancer Council Australia found that only 55% of Australians believed it was safe to use sunscreen every day, down from 61% in 2014. These concerns arise from worries that ZnO-NPs may penetrate the stratum corneum barrier, gain access to viable epidermis cells, and cause potentially toxic responses. Some cell culture studies have shown that ZnO-NPs can induce cytotoxicity, oxidative stress, and DNA and metabolic damage when applied for less than 6 hours to human liver cells, epidermal cells, keratinocytes, and fibroblasts, and that ions might remain in the blood and urine. Sun safety experts are concerned that avoiding these types of sunscreens might increase the incidence of skin cancer. A recent study used both human volunteers and donated excised skin to directly assess the skin penetration and local safety of ZnO-NP after repeated topical use. The authors used multiphoton tomography (MPT) with a fluorescence lifetime imaging microscopy (FLIM) to multiphoton tomography in the healthy volunteers and a labile zinc-specific probe, ZinPyr-1 in the donated skin to assess the presence of zinc oxide nanoparticle (ZnO-NP) in skin layers, and whether zinc oxide ions could be detected in the skin. The results showed repeated application of ZnO-NPs to human skin in vivo over several days did not result in nanoparticle penetration through the stratum corneum or cause any visible morphological or redox changes. The novel approach of using “real-life” multiple applications, enabled potential local skin toxicity in the various skin layers of human volunteers to be assessed for changes in skin morphology and redox state, which is an early marker of cell disruption. The authors corroborated the in vivo findings with an identical in vitro study. They state that the toxic effects that may be elicited in isolated cells after exposure to ZnO-NP in vitro do not occur when they are applied to the skin of humans under realistic in-use conditions. The authors conclude that this study supports the stated position of Cancer Council Australia that on the current weight of evidence, ZnO-NPs remain on the surface and outer layers of the stratum corneum and do not reach viable cells.